Wipe off the day – gently and thoroughly. 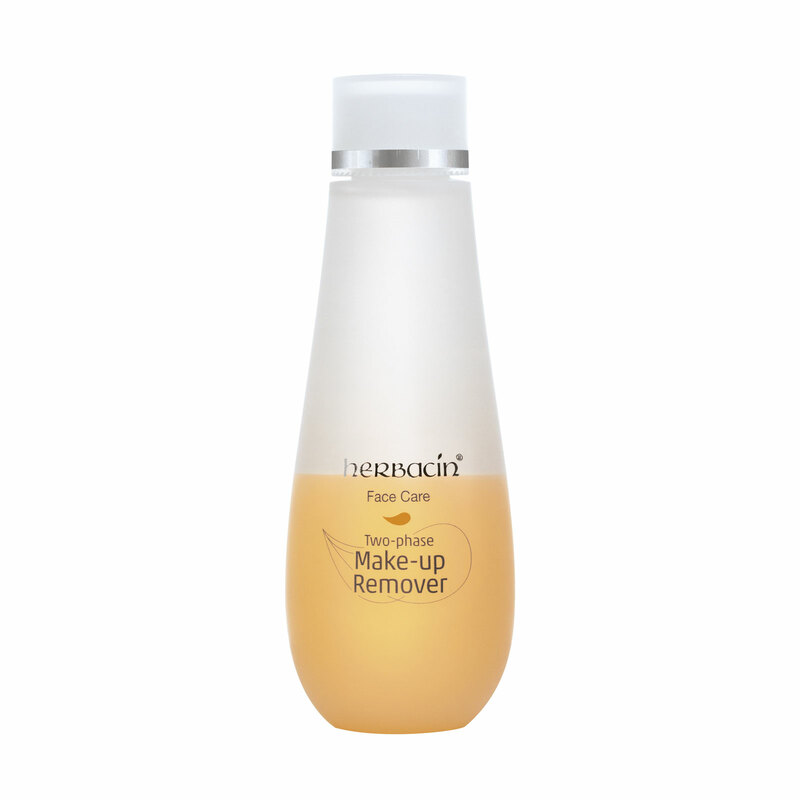 Herbacin Face Care Make-up Remover dissolves make-up residues gently and thoroughly, not just around the lips, neck and décolleté areas, but also around the delicate and sensitive eye area. Simultaneously, the oil of sweet almonds protects the natural hydro lipid film and gives your complexion a velvety, clear and radiant fresh look in no time. Vegetable glycerine and natural extracts of Aloe Vera and ripe melons promote optimal hydration of your skin after cleansing and provide for a thoroughly pleasant skin feeling. Your skin is cleansed down to its pores, and facial creams or fresh makeup can be apply immediately.